Should you leave your 3% rate behind to do a cash-out refinance? Did you buy or refinance your home at record low rates in the 3 percent range? As rates rise, you wouldn’t consider refinancing. Ever. But that could be a mistake. It might sound like a terrible idea to use a cash-out refinance and receive a higher mortgage rate. But there are cases where a full refinance is better than a HELOC, especially when tapping into large amounts of home equity. HELOC: A loan with a variable rate that you open in addition to your primary, or first, mortgage. It is sometimes referred to as a second mortgage or home equity loan. 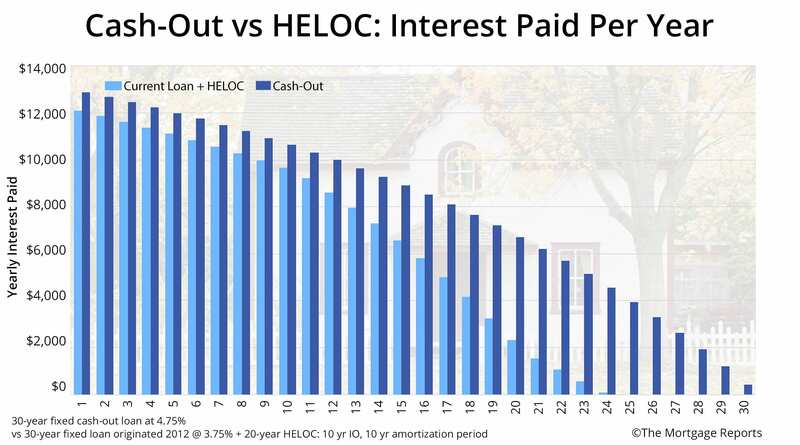 With a HELOC, you can leave your first mortgage and rate alone. Cash-out refinance: A loan that replaces your existing first mortgage. You take out a bigger loan and take the difference in cash. Your rate is subject to current mortgage rate levels. Wait, how much extra is the cash-out going to cost me? To be clear, a cash-out refinance won’t be cheap. You’ll pay about $70,000 more in interest by choosing a cash-out loan rather than tacking on a HELOC to your existing loan. That’s primarily because you reset your current loan back to the 30-year mark when you refinance it. Most of what you pay in the first 5-10 years is interest. But, if you get a 25-year cash-out loan, the extra cost of the new loan falls to just $20,000. Your monthly payments are higher, but you save significant money. But let’s assume you opt for the 30-year option. This is what your loan balances look like over time. It’s not surprising that the amount of interest you pay per year looks similar to your loan balance. Again, getting a HELOC wins out cost-wise. However, keep in mind that the above scenarios assume HELOC rates won’t go up while you’re HELOC is open. That’s very unlikely for reasons we discuss below. Here are three scenarios in which a cash-out refinance could save you money over a home equity line of credit (HELOC) or another financing alternative. When you think of home improvements, you may assume a HELOC would be better than a cash-out refinance. And you might be right. A home equity line typically comes with lower closing costs. Plus, you pay interest only on what you use — similar to how credit cards work. That’s great for smaller or ongoing projects. But if you are planning major home renovations, like additions, major bathroom and kitchen remodels, or a complete gut of the home, you are likely to need a large sum of money upfront. A cash-out refinance could save you money for the following reasons. Rates: Although today’s mortgage refinance rates could be higher than your existing mortgage rate, they still are historically low. Additionally, they are often lower than HELOC rates, which could run one to two percent higher. 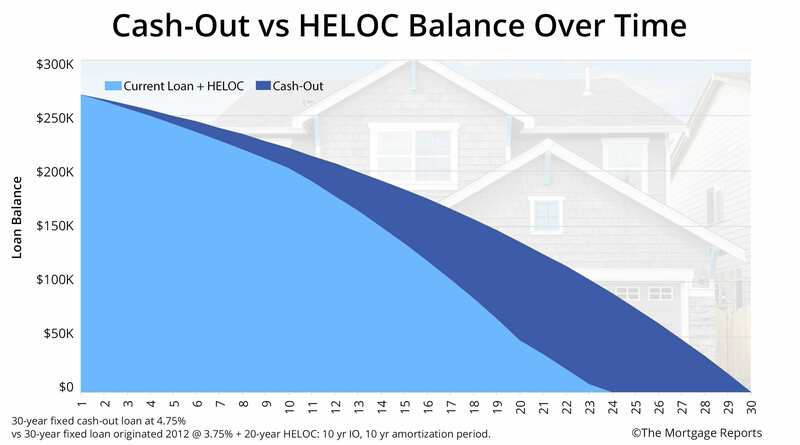 Timing: A cash-out refinance comes with a fixed rate, while HELOCs typically have variable rates which can change with the market. The Federal Reserve is set on raising rates regularly for the next few years. Those rate moves directly affect HELOC rates, but can’t touch your fixed-rate mortgage. Now is the time to lock a still-low rate on a cash-out refinance. Term: A cash-out refinance will spread your repayment over the new 30-year term, meaning your monthly payment will adjust slightly higher. You will probably pay more in interest over the life of the loan if you keep the property for the entire 30 years. But there’s minimal short-term impact on your finances. The two monthly payments are about the same. But consider two additional scenarios. The Fed raises rates so that your HELOC goes from 6 percent to 9 percent — which is possible in coming years. Or, you reach the end of the 10-year interest-only period and must pay the loan back with the principal. Suddenly, the higher fixed rate on your cash-out refinance doesn’t look so bad. It all comes down to risk. If you want a large lump sum of money, but you are unsure you will pay it off quickly, a cash-out refinance is likely the way to go. Word of Caution: A cash-out refinance can help you borrow as much as 75 to 80 percent of your home value including your remaining mortgage balance, but don’t be tempted to tap into more equity than you need for your home improvements. Be realistic about the costs of any project and get various quotes before you go into your cash-out refinance. Borrowing against your equity is not free, you will pay this money back along with interest over a new term. In addition, you can get a lower mortgage refinance rate if you reduce your loan-to-value ratio. There are two reasons a cash-out refinance might be best to consolidate debt, like credit cards. As mentioned above, the Fed is bound and determined to raise rates in coming years. Your credit card rate will most likely rise every time the Fed pulls the trigger, according to CreditCards.com. HELOC rates act the same. The Fed is bound and determined to raise rates in coming years. But a fixed-rate cash-out refinance never adjusts once you lock in the rate. And a cash-out refinance may not be as expensive as you think. Mortgage lenders, desperate for business as rates rise, are offering all sorts of low-closing-cost refinances. Tip: Get a cash-out rate and fee quote from four to five lenders. Make them compete with each other to pay the lowest closing costs possible. In addition, paying off your credit card debt may improve your overall credit score. Just keep your credit cards open, if possible. This keeps your overall available amount of credit high, while reducing the balance. Credit bureaus will award you with high credit scores when you are utilizing a small portion of your credit card limits. The Tax Cuts and Jobs Act introduced in early 2018 affect home equity loans or lines. Based on the new regulations, if the home equity loan proceeds are used for personal expenses like paying off student loans and credit cards, then the interest on the home equity loan would not be deductible. Interest on cash-out refinances is still tax-deductible, although it is capped to mortgages that do not exceed $750,000, according to the IRS. Word of caution: Using your home equity to pay off high-interest debt should not be taken lightly. Your home equity is best invested in the home or other investments. Although there are benefits of getting rid of debt, make sure you don’t fall back into the same trap of maxing out your credit cards or taking personal loans to finance unnecessary purchases. For years now, home prices have been on the rise. According to the Freddie Mac House Price Index, home prices have increased 37 percent nationwide since 2009. With that increase, two-thirds of homeowners in the United States are sitting on untapped equity. The average mortgage holder gained $14,700 in tappable equity over the past year and has $113,900 available to them as of the first quarter of 2018, according to research from Black Knight. The average mortgage holder gained $14,700 in tappable equity over the past year. 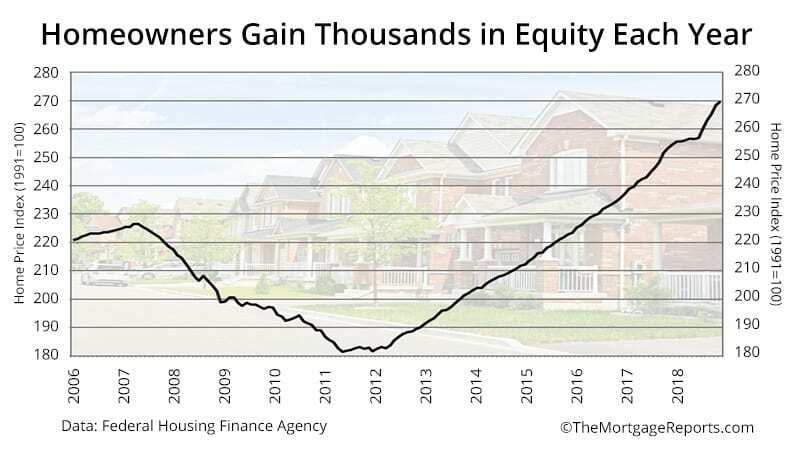 The research company also estimates $5.8 trillion in tappable equity held by U.S. homeowners with mortgages, which is the most ever recorded, and 16 percent above the mid-2006 peak. If you know how much equity you have in your house, you can calculate your available cash-out amount. You’ll get the best rates by borrowing 75 percent of your home value or less. The quick cash could open doors for you if you put your equity into an investment that exceeds home price appreciation in your market. If your goal is to jump start your small business, rates on small business loans are likely to be higher (5 percent or more), and the terms won’t be as long as 30 years, which means your short-term payments are going to be much higher. Word of caution: Any investment of your primary residence’s equity should be studied carefully. Real estate investment can be risky, but it is still rewarding with residential and commercial property values are still on the rise. A cash-out refinance can help you take your first step in coming up with a down payment on another appreciating real estate asset. With the combination of rising home equity and potential rate hikes, it makes sense to refinance now if you’re looking to cash out and make due repairs or improvements on your home. Ditching a low mortgage rate also makes sense if it would help you pay off or consolidate high-interest debt. Be careful, however, with how you invest the equity you have built in your primary residence. 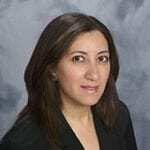 Rania Efthemes is an award-winning journalist and content strategist with more than 20 years of experience in print and digital media. Visit Rania on LinkedIn.